This is a pack of 'just for fun' stuff that's mostly Halloween themed. There is a Frankenstein-style stiched body, as well as the ability to play as a ghost or someone with a hidden, monstrous form. Each of these is implemented as a single spell (usually a permanent ability), or there are inventory items that can grant the abilities for AddItemMenu users - equip the item to apply the ability, equip it again to remove the ability. These items work for NPCs too (except Corrupted Form which is player only). Your body is made out of a bunch of other people's bodies that have been sewn together (which has been built from many UNP body textures). It beats being dead, but you're not far from a walking corpse - you are constantly surrounded by a cloud of flies. Search "stitch" in the console. Spell is called "Stitched Body" (12cc) and item is called "Amulet of Stitching" (12cd). You may have died, but your soul is not yet ready to leave Mundus. People don't react to you any differently, but I might change that in the future. Worn equipment (not weapons) does not encumber you, but does not provide armor rating either. Spell potency is now based on your current Magicka - 100 Magicka = 100%. This will make your spells weaker overall at low levels, but much stronger at high levels. Search "spooky" in the console. 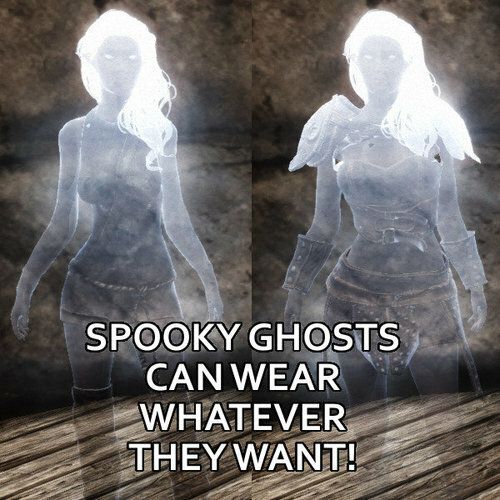 Spell is called "Spooky Ghost Form" (2dc4) and item is called "Spooky Ghost Ring" (332a). Search "toggle" in the console. Spell is called "Toggle Corrupted Form" (5e58) and is equipped to the voice slot; item is called "Ring of Toggled Corruption" (691d). If you want to be stuck in corrupted form permanently, you can add the spell "Corrupted Form" (3df5). The method I use to apply the stitched body overrides the character's naked armor skin. This will conflict with any other mod that also changes this skin. Also, SKSE does not clean up this modified skin when loading a game. If you load a game where you're not using the stitched skin while playing with the skin, it will remain on your character. Exiting to the main menu before loading a save is the easiest way to clear it up. The Corrupted Form can cause some weirdness if used with something else that makes everyone want to kill you, like lycanthropy. HolzHalloweenUpdateInterval (default 5.0) - The time interval, in seconds, for Corrupted Form to check for witnesses, both during and afterward in the suspicion phase. HolzSuspicionDivisor (default 3) - This controls how likely an NPC is to fire a suspicion event on you. The default of 3 means there is a 1 in 3 chance for them to grow more suspicious. Decrease this number to 1 or 2 to make NPCs grow suspicious more quickly, or increase it to grow suspicion more slowly. 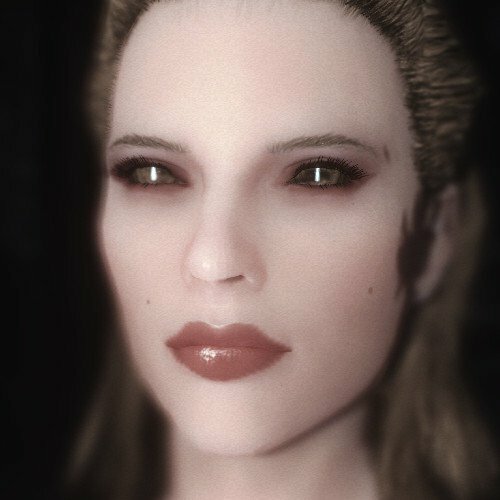 HolzWitnessCooldown (default 1.0) - This is how long, in in-game hours, it will take before people who have seen you in your corrupted form will no longer grow suspicious if they see you afterward.